Q: What message do you have for Iowans during this tax filing season? A: With the new tax filing season underway, more than 150 million individuals and families will file their taxes for the first time under the new federal tax code. Enactment of the historic Tax Cuts and Jobs Act of 2017 boosted take-home pay for millions of working Americans. Breadwinners saw immediate tax savings in their paychecks already last year. When Congress adopted the landmark tax law, the Washington-knows-best believers deployed divisive rhetoric and class warfare to oppose the tax cuts. The big spenders wanted to keep more money in Washington to grow big government programs. Their efforts to derail tax relief failed. With tax season in full swing, they are back in the batter’s box, swinging away to bash the tax cuts. This time they are bending the facts to fit their agenda. Once again, they are striking out at the plate. Using a smidgen of IRS data from just the first week of filing season, critics are trying to use the statistics to show that Americans were paying more in taxes, not less. Despite their quest to score political points, they are grounding out with basic misinformation. They claim that a lower refund from the IRS proves that taxpayers are paying more in taxes. This argument fails to acknowledge what a tax refund means. Taxpayers who receive a tax refund have overpaid what they owe the IRS in the first place. Getting a refund means taxpayers take home less pay from each paycheck throughout the year. Instead, more of their hard-earned money is deposited directly into Uncle Sam’s piggy bank. Now, critics of the tax cuts are squealing that lower refunds means that taxpayers are paying more in taxes. That argument is pure hogwash. Policymakers ought to know that is intellectually dishonest. What’s really happening is they are trying every which way to Sunday to sabotage the Tax Cuts and Jobs Act. This line of rhetoric is misleading and flat out wrong. Taxpayers who receive a refund have overpaid what they owe in the first place. Q: How can Iowans know if they paid less in taxes under the new law? A: Employees should have seen immediate tax savings in their paychecks last year. 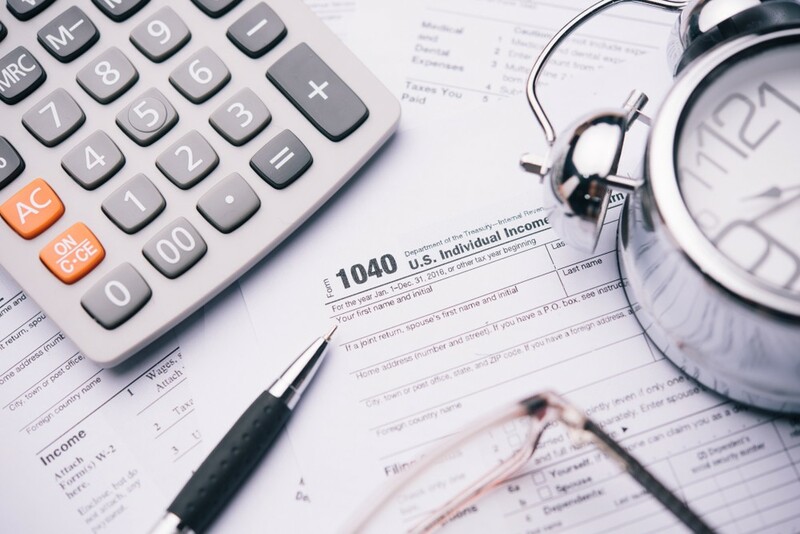 Although no withholding table can perfectly reflect each individual taxpayer’s circumstances, the IRS made good faith efforts to adjust the withholding tables so that the amount withheld from workers’ paychecks accurately reflected the new tax law. An Iowa family of four — with the state’s family median income of around $75,000 — stands to see its tax bill cut by more than half, or about $2,100. It should be up to the individual taxpayer how to save, spend or invest that extra $2,100 dollars, or about $175 a month. Every analysis, from the nonpartisan Joint Committee on Taxation, to the right-leaning Tax Foundation, to the liberal Tax Policy Center, demonstrates that taxpayers are sending less of their hard-earned money to Washington under the Tax Cuts and Jobs Act. The best way for taxpayers to see how tax reform affected their bottom-line is to compare this year’s tax return with last year’s, rather than on the size of their refund. Tax preparers and tax return software usually provide an analysis comparing the current and previous year’s tax return. Be sure to compare the effective tax rate, especially if income changed substantially from the previous tax year. If your tax preparer does not provide this information already, ask for it. The vast majority of taxpayers will see that their tax bill has gone down. That is a distinction critics don’t want to talk about. Instead, they want to manufacture a firestorm through misinformation. They want you to believe that a lower tax refund means the new tax law failed to cut taxes. I encourage Iowans to check their returns carefully. And remember, the size of a refund tells taxpayers how much they overpaid over the course of the year, not how much tax savings they received throughout the previous year.